Seems like the much awaited Jio GigaFiber launch is not happening in March 2019 as it was being expected initially. This doesn’t, however, mean that the service is not being rolled-out. Jio GigaFiber launch is taking place in a phased manner and as rapidly as possible. The service has reached areas like West Delhi as well, with consumers in Mianwali Nagar opting for and enjoying the services. The consumers had to pay a security deposit of Rs 4500, as required and they are getting to enjoy the promised 100Mbps of high speed Internet for free for the first three months. Also, the official Jio Care account on Twitter is responding to queries on when the service will be available in certain areas by saying “We are here to help. Jio GigaFiber services are being rolled out in a phased manner. Once we are ready to provide services at your address, our sales representative will contact you for further process. Appreciate your patience and co-operation.” A user also adds on Twitter that the customer service executives respond to consumers awaiting the service only when the service is ready for deployment in a particular area. 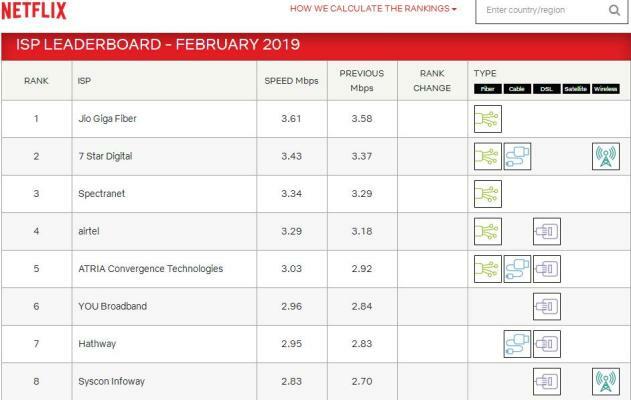 In the meanwhile, Jio GigaFiber has managed to maintain its lead on the monthly Netflix internet service providers list, which rates the prime time Netflix performance on particular around the globe. Jio GigaFiber has topped the list with an average playback bitrate of 3.61Mbps for the month of February. This is a slight increase from the bitrate of 3.58Mbps that the ISP had in January. The Netflix ISP Speed Index lists the average prime time bitrate for Netflix content streamed to Netflix members during a particular month. Netflix measures the speed via all available end user devices. 7 Star Digital, Spectranet, Airtel, ATRIA Convergence Technologies and other ISPs follow Jio GigaFiber on the Netflix ISP Speed Index. 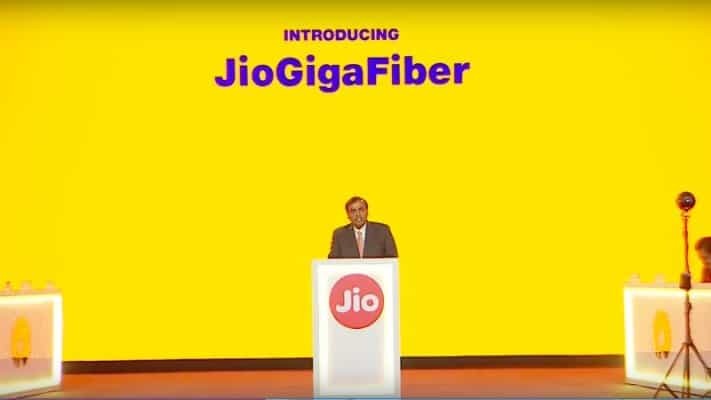 Consumers are looking forward to getting the following services that Jio GigaFiber promises to bring: HD quality entertainment, Gigabit WiFi, TV, Smart Home, Free Calling, multi-party video conferencing, virtual reality gaming, shopping, and so on at affordable prices. Jio GigaFiber Launch Happening in a Phased Manner, Speed Increases on Netflix ISP 0 out of 5 based on 0 ratings. 0 user reviews.